Category 6 Ethernet cables are tested up to 550 MHz. Cat6 features 23 AWG UTP construction. This entails larger conductors and tighter twists, which helps provide increased bandwidth. 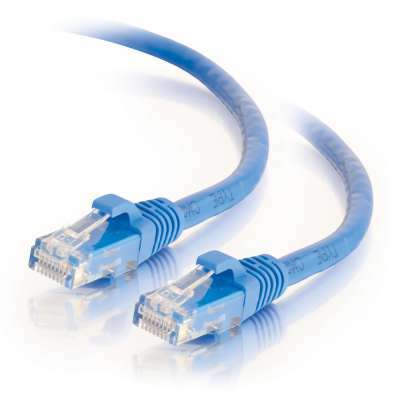 Our Cat6 Ethernet patch cables are offered in an extensive selection of boot types, assorted colors and lengths. Crossover cables are also available! Cat6 is a major leap forward from Cat5e technology, with the ability to provide speeds of 10 Gbps over 33-55 meters. And while Cat5e improved interference issues to bolster its performance, Cat6 goes even further to provide better outside noise elimination than ever before! This means even greater speeds, as well as enhanced performance and connection quality.